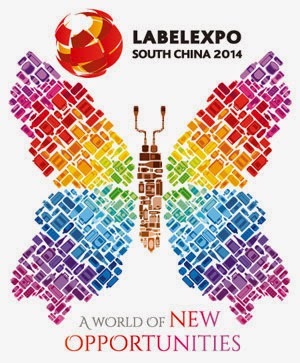 Details of the keynote presentation and conference program have been announced for Labelexpo South China 2014. Being held 3-5 December 2014 at Guangzhou’s Pazhou Exhibition Center, the two day conference will also be supported by a daily Live Technology Clinic. Day one will explore subjects including flexo technology and smart products as well as include the keynote presentation being given by Jari Haavisto, vice president, Greater China, UPM Raflatac. A comprehensive guide to flexo technology, materials and performance will include presentations from Steven Fan of Gidue China, Jason Zhao of DuPont and Flint Group’s Sam Chen. The day finishes with a look at smart products which are being used to encourage consumer interaction and spending and will feature a look at RFID by Henrick Quek of Top Print Labels as well as an overview of NFC by Peng Cheng Li Cultural Technology and conductive ink solutions for electronic packaging by Sun Chemical. The second day will tackle digital printing and anti-counterfeiting. The digital printing session will consist of presentations by Yajuan Liu of Beijing Founder Electronics who will highlight the importance of prepress and workflow automation for profitable printing. She will be followed by a comparison of technologies and printing processes from Xeikon and a roundup of how to optimize print finishing by Brotech Graphics. Meikei Printing will conclude the conference by discussing the latest security solutions for brand protection with a look at new technologies, counterfeit and tamper-proof options and instant verification for product authenticity. Labelexpo South China 2014 will also see the debut of the Live Technology Clinic. The hour-long sessions will be held on the first two days of the fair and give show visitors access to one to one discussions with a panel of label and package printing experts. At the clinic, experts from companies including Kinglabel Adhesives and Beijing Hengli’an amongst others, will be available to give advice on all aspects of label and package printing technology as well as help printers realize their potential, solve challenges and increase their opportunities. Topics will include: digital printing, in-mold labeling, RFID/smart labels and conventional printing processes. Bringing together label, packaging and general printers, brand owners and label designers, the exhibition will feature some of the industry’s leading Chinese and international press and material manufacturers. Participating exhibitors include Brotech, Label Source, Nuova Gidue, Omet, Soontomax Label Material Co, UPM Raflatac, Weifang Donghang Graphic Technology Inc, Xeikon, Zhe Jiang Wei Gang Machinery Co and Zhongtian Machinery. Entry to the show is free and visitors can pre-register by visiting www.labelexpo-southchina.com.